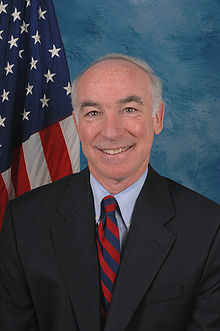 Yesterday, Congressman Joe Courtney (CT-02), ranking member of the Seapower and Projection Forces Subcommittee, joined 43 other members from the House Armed Services and Foreign Affairs Committees in releasing a joint statement regarding President Trump’s attendance at the NATO Summit and his bilateral meeting with Russian President Vladimir Putin. The 44 members said in their joint statement: “President Trump must not seek to undo the work that generations of American men and women have done to help defend and uphold democratic values throughout the transatlantic region. Europe returned from the devastation of the Second World War to prosperity largely due to the North Atlantic community’s commitments to its shared values and to collective defense. House Armed Services Committee Ranking Member Adam Smith (D-WA), House Foreign Affairs Committee Ranking Member Eliot Engel (D-NY), Rep. Robert A. Brady (D-PA), Rep. Susan A. Davis (D-CA), Rep. James R. Langevin (D-RI), Rep. Rick Larsen (D-WA), Rep. Jim Cooper (D-TN), Rep. Madeleine Bordallo (D-GU), Rep. Niki Tsongas (D-MA), Rep. John Garamendi (D-CA), Rep. Jackie Speier (D-CA), Rep. Marc Veasey (D-TX), Rep. Donald Norcross (D-NJ), Rep. Ruben Gallego (D-AZ), Rep. Seth Moulton, (D-MA), Rep. Colleen Hanabusa (D-HI), Rep. Carol Shea-Porter (D-NH), Rep. Jacky Rosen (D-NV), Rep. A. Donald McEachin (D-VA), Rep. Salud Carbajal (D-CA), Rep. Anthony Brown (D-MD), Rep. Stephanie Murphy (D-FL), Rep. Tom O’Halleran (D-AZ), Rep. Thomas R. Suozzi (D-NY), and Rep. Jimmy Panetta (D-CA), Rep. Brad Sherman (D-CA), Rep. Gregory W. Meeks (D-NY), Rep. Albio Sires (D-NJ), Rep. Gerald E. Connolly (D-VA), Rep. Theodore E. Deutch (D-FL), Rep.Karen Bass (D-CA), Rep. William R. Keating (D-MA), Rep. David N. Cicilline (D-RI), Rep. Ami Bera (D-CA), Rep. Lois Frankel (D-FL), Rep. Joaquin Castro (D-TX),Rep. Robin L. Kelly (D-IL), Rep. Brendan F. Boyle (D-PA), Rep. Dina Titus (D-NV), Rep. Norma J. Torres (D-CA), Rep. Bradley S. Schneider (D-IL), Rep. Thomas R. Suozzi (D-NY), Rep. Adriano Espaillat (D-NY), and Rep. Ted W. Lieu (D-CA).